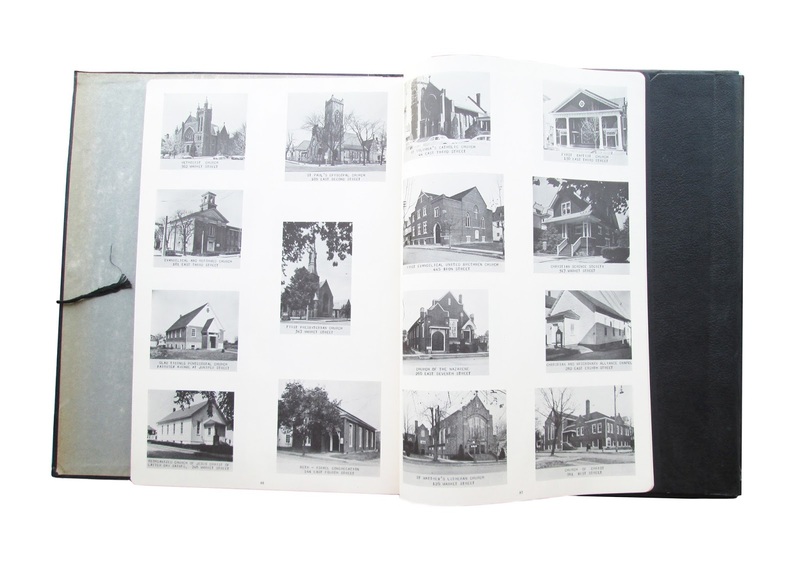 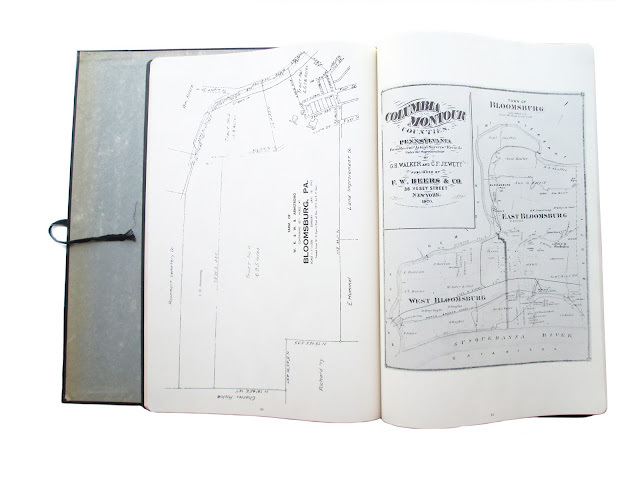 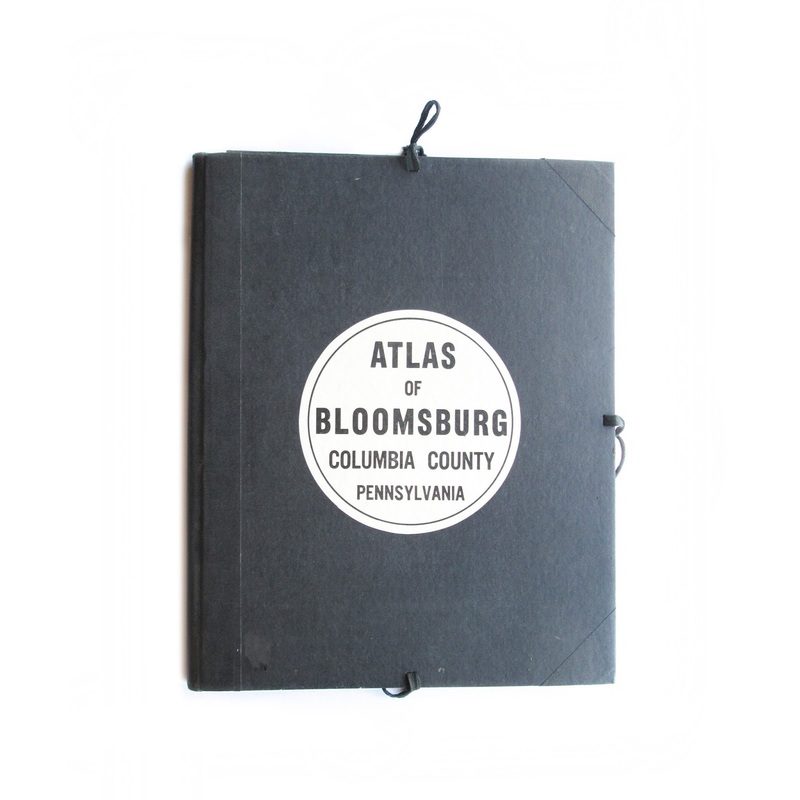 Large atlas of Bloomsburg that also includes historic photographs and other useful reference information; various historical maps, street atlas with property information, images of historical buildings and more. 18.5" x 15" (Elephant folio). Complete in original folding case. 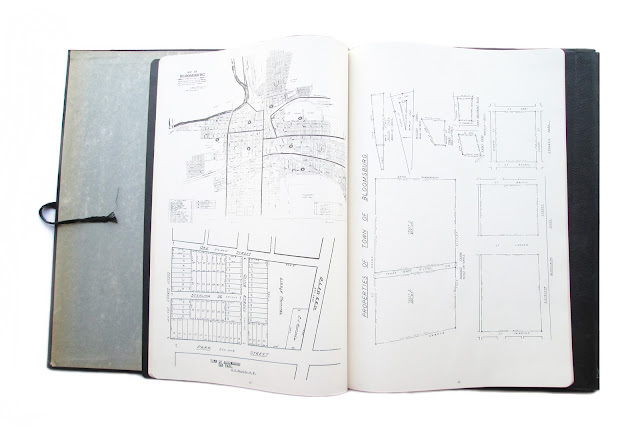 Book is clean and crisp and includes a signed letter from Duy to a local library offering the book free of charge.